Between the blooming spring season, ever-trending floral-mania, and all-out Gatsby madness, I couldn’t think of a more relevant DIY than these cute little whipstitched pocket squares. 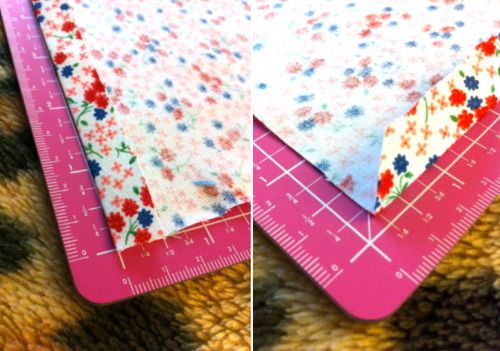 Cut your fabric to approximately 9”x9”. Standard pocket squares come 14”x14”, but those are way too big for my little pockets and I hate how it looks when my chest is all bulky! If you tend to fit well in standard-size menswear, you might opt for a 12”x12” template (closer to market standards), but if you’re fun-size like me then go with the modified 9”x9”! 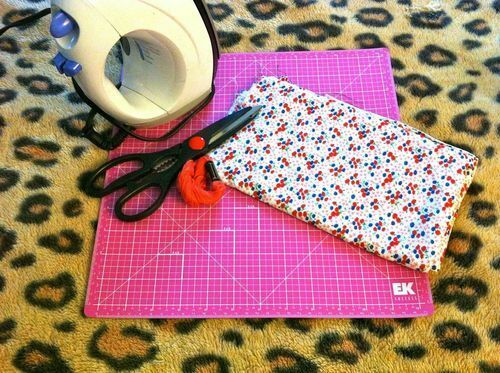 Wrong side facing up, fold one edge over approximately ½”. Press the edge with your iron to reinforce crispness – this is very important! 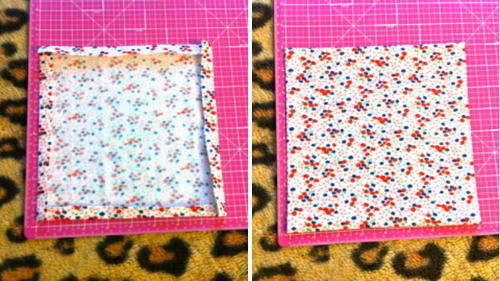 Next, diagonally cut the corner of the flap off. Repeat on the remaining three edges. OPTIONAL: If you’re really picky about neatness and don’t like the idea of leaving the edges raw, you can double-fold your edges and press so that the raw edge is hidden. 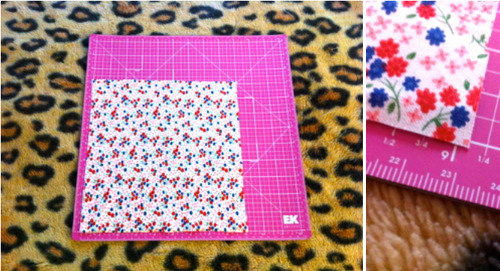 Now that our edges are pressed and corners clipped, your fabric should look like this (left), and be a little over 8”x8” in size. Flip the piece over (keeping edges folded), and press the right side of the fabric a couple of times to make sure your creases stay. 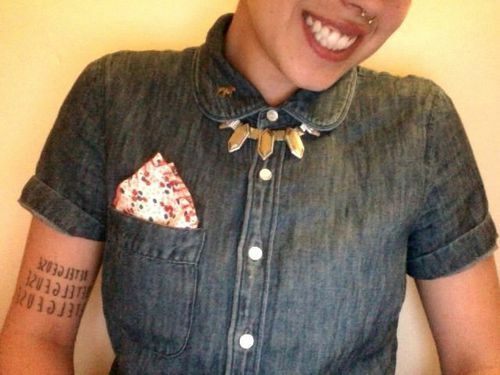 At each corner of your fabric (wrong side facing you again), fold the corner of the top flap under itself in a diagonal. This will give each corner a neat little point! Repeat on all corners. NEXT – it’s time to begin sewing! Cut a piece of embroidery thread about 4 ½ yards long (150” or 13’). Thread it through your embroidery needle and double the length; your total length should now be about half the original 4 ½ yards. Knot the end of the doubled thread. Put on your favorite show, lay back in bed, and stitch that sucker all the way around! NOTE: Please do not get so comfortable during this process that you fall asleep in bed and poke yourself in your sleep. Once you are done stitching all four edges, finish your stitching on the wrong side of the fabric and tie off your string (you should be finishing at the corner you started at). Be sure to snip off the excess thread. 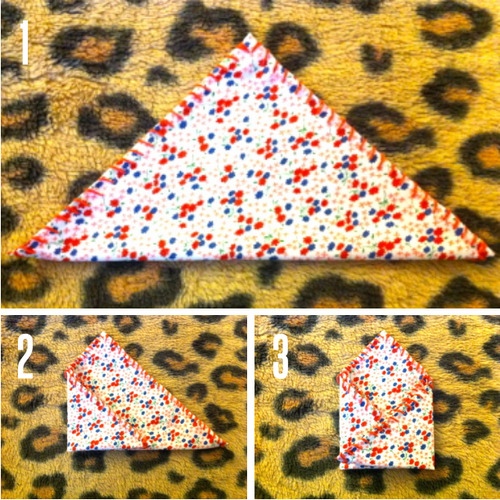 FINALLY it’s time to fold your pocket square! Tuck your pocket square into your best button-up shirt and get ready to head out in style. 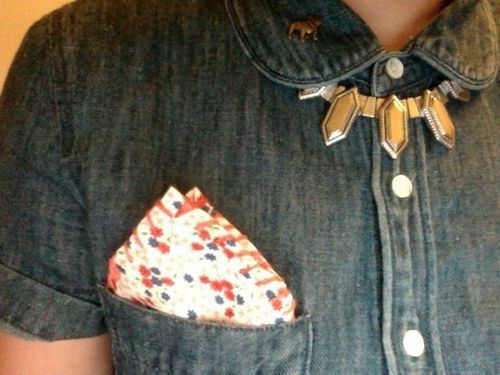 This also doubles as a back pocket hanky - especially great on those hot summer days when you don’t feel like wearing a dress shirt! Don’t forget to make some for your friends. Try metallic embroidery floss for added pizzazz! May 30 Sean Is Back! May 22 Jack Tar 207 Happy Hour: I Was There!